Every semester, I take my students from Columbia College to Chicago Federal Bank’s Money Museum. It’s a great experience for the students, and I also learn something new with every visit. On our last visit, I pulled one of the PhDs aside (they all possess a doctorate degree in Economics) and asked, “what do you think about bitcoin?” The presenter gave me a one sentence answer – it’s a safe haven for illicit traders. Probably a little too harsh answer, so I did my own research. What is bitcoin? It’s a virtual currency created by an unknown Japanese programmer (only his pseudonym is known). It’s not associated with any country or government, making it truly universal. How does it work? Every user has a “wallet” with a unique identifier. While all transactions are recorded, user ID is kept anonymous (OK, so that supports illicit trade comment). How do I get bitcoins? Various exchange sites / services let you buy and sell for cash. You can also mine them (honestly I don’t get this concept). 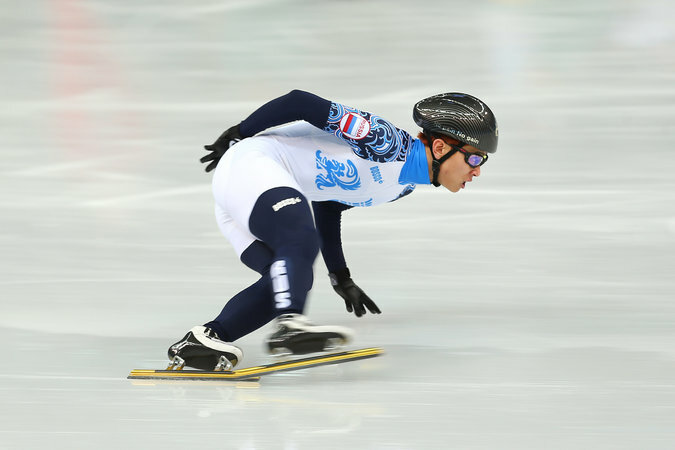 Hyun-soo Ahn was one of South Korea’s most decorated short-track speed skaters (5 World Championships and 3 golds at 2006 Olympics), so why did he change his name to Viktor Ahn and is now skating for Russia? Automatic Premier Gold status for million-miler does not get you whole lot, except for premier check-in line. No wonder while back, a United million-miler sued the airline for breach of contract (before the merger, million lifetime miles got you premier executive, not premier gold status). I feel like I’m treated better by Star Alliance member airlines when I am traveling abroad that United, which I have most loyalty to. My recent flights on KAL, Singapore and Asiana served to only affirm my view. Of particular note, I caught an Asiana flight attendant cleaning the lavatories during downtime so that the customers can have more pleasant flying experience. 25+ years of flying domestic airlines, I’ve never seen any domestic flight attendant do the same. I can certainly empathize with tight margins and cut-throat environment that depicts the airline industry (I was an early guy at Orbitz so I do have some insight). But it just seems like many US flight attendants, especially those with senority, have given up and are just going through the motions and are waiting for retirement (with apologies to those flight attendants who care and bust their butts to do their job right)… Much like networking, customer service is just good humanity. It has to be something you want to do and take pride in. So what’s my solution? Depressed million miler benefit combined with poor customer service, I don’t have much choice except to fly Star Alliance network airlines instead of United on international flights. Then again I do have 500K miles on American… Perhaps time to try a different domestic airline? Before Mariano’s Fresh Market, Whole Foods, Wild Oats, and Trader Joe’s (I’m still mad at them for not giving me an opportunity to interview after I submitted an application at a different point in my life out West, but that’s a story for another time), there was Fox & Obel, the Chicago-based, River East mainstay for over a decade. With rumored celebrity investors like Scottie Pippen, 5 dollar per ounce olive oil, truffle tasting stations, in-house wet and dry aged meats (initially the only grocer that carried Tall Grass Beef from Red Buffalo Ranch, owned by Bill Curtis), top-notch wine and apéritif lists, hard-to-find regional and international accoutrements, and a Zagat-rated cafe attached, people had flocked to what is arguably the first high-end grocery store in Chicagoland. And this was despite its sky-high prices (trust me, much worse than Whole Paycheck, I meant Whole Foods). Manning the bakery was Phyllis, a lovely woman and native of South Africa who never hesitated to scold rude customers, who took it. There was Martha, the ever-smiling assistant manager greeting patrons as they walked in and out. And Juanita, café manager and a single mother (her son’s a star athlete at a local Catholic school). Juanita knew exactly how you liked your coffee. Fox & Obel managed the unlikely balance of Chicago Gold Coast uppity-up-ness with a neighborhood feel. My business partner (of Spend Matters fame) Jason Busch Ioved the bakery so much that its muffins, pastries and bread made it into our formal LLC operating agreement for our Spend Matters advisory business (i.e., written into the agreement was that one partner had to “stop at the Fox and Obel” bakery before business meetings – I kid you not, and yes we did honor the agreement!) Unfortunately, it’s now time to amend it. For a while we’d heard rumors of additional investors, new stores in the downtown area, North American expansion. Then bam: the bottom fell out. My wife Jenna and I walked around the closing sales event with heavy hearts. To Jenna and me, this was not just a grocery store – Tsige cooked for us, Sue babysat our kids, and on Friday afternoons I used to bring my RJSL and Spend Matters colleagues treats from the Fox & Obel bakery. So what happened? I can certainly make a few hypotheses. Decreasing passion and sense of mission – After initial success, the original founders cashed out to private equity investors. And I could sense a gradual decline in quality over the past few years. Does that mean every buyout spells doom for those acquired? No, but it does mean that if cash flow buyers (as opposed to strategic acquirers) focus too much on the short-term bottom line, it will erode the X-factor that made the establishment special. Hiccups in execution – It could be as minor as less crust on what used to be their signature almond croissant (Jenna noticed it after a new pastry chef came on board; the long-time head quit when his paycheck bounced), as major as multiple health code violations (fruit flies in food preparation stations is what I’ve heard), and everything in between, such as failure to pay electricity bills on time. Poor inventory – Along with declining quality, I noticed that shelves were becoming emptier. No longer was Fox & Obel the go-to place for hard-to-find items, and even its staple trappings were sometimes missing, a cardinal sin for a grocery store. I am not a grocery industry expert by any stretch of the imagination, but even I could see tension between Fox & Obel and its suppliers. Erosion of the foundation – No disrespect to technology and process (many economists claim these are the only two factors that could push the famed EFPC – efficient frontier production curve – outward), but people make up every business’s foundation, regardless of the segment. Again, towards the end, I heard grumblings from Fox & Obel’s employees. Perhaps they trusted me since I was a regular, but nonetheless, I never heard any complaints over the first few years. I could go on and on, but it won’t bring Fox & Obel back. Furthermore, I think these causes of their failure are a good lesson for just about any business. And in case you were wondering what Jenna and I bought at the final closing sale, we stocked up on Fox & Obel water glasses and Mexican Coca Cola, made with real sugar. Coincidently, the sourcing of Mexican coke is a great personal procurement lesson – which involves having to pay significantly more for a far superior product (which also requires seeking out) albeit with the same corporate brand. I promise to tackle more cheerful topics for the rest of 2014. Happy New Year, everyone. 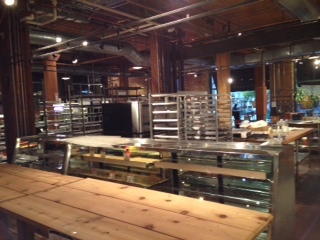 We’ll also let you know what new Chicago bakery (La Fournette is highest on our current list) that Jason and I decided to amend and include in our operating agreement so that the entire Spend Matters and MetalMiner office continue to remain well-fed and sugared-up.